We recruit, train and employ local Cambodian staff giving these people the opportunity to train and gain employment in a job benefiting their own people. Dr Boran Seung was born in Cambodia and is a fully qualified dentist with his own clinic in Phnom Penh. He also works part time for Cambodia World Family (CWF), helping severely disadvantaged children receive much needed dental treatment. Boran has taken up the role of the Tanop Village Dental Clinic Director and will work closely with the Singing Kites Dental Project team to alleviate suffering and ill health due to lack of proper dental care. Lyda and her family live in Tanop village. She has spent the last four years training as a dental technician/nurse at Cambodia World Family dental clinic in Phnom Penh and will soon continue her training in Toowoomba, Australia with Dr Greg McHugh, before working full time at the Tanop Dental Clinic with Dr Boran Seung. Lyda also attends Build Bright University at weekends where she is studying English Literature. Rany and her family live in Tanop Village. 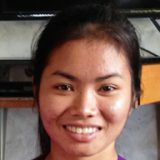 She has spent the last three years training as a dental technician/nurse at Cambodia World Family dental clinic in Phnom Penh and will soon continue her training in Toowoomba, Australia with Dr Greg McHugh, before returning to work full time at the Tanop Dental Clinic with Lyda and Dr Boran Seung. Rany also attends Build Bright University at weekends where she is studying English Literature.